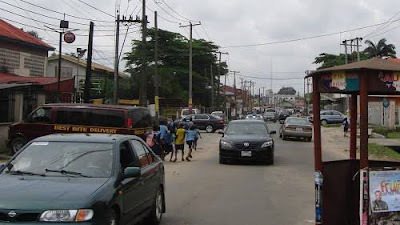 Residents of Apamini Annex Road, Rumuokoro community, in the Obio/Akpor Local Government Area of Rivers State, were shocked when they learnt that a teenager girl living in the neighbourhood, identified only as Abibatu, had allegedly committed suicide. Abibatu, who was a student of one of the secondary schools in the area, was said to have taken insecticide which led to her death. Sources told Punch that the 17-year-old was impregnated by a yet-to-be identified person. Abibatu, who was angrily chastised by her parents on Friday, was said to have purchased the insecticide from one of the shop owners in the neighbourhood, who was not aware of her plan to kill herself. A source from the area said Abibatu’s corpse was found on Saturday with her mouth reeking of the insecticide she had allegedly gulped. “On Saturday morning, we heared that the girl was dead. We later learnt that she took mosquito killer. We also heard that her parents were angry with her because she got pregnant. She might have committed suicide because of the shame. “We know her as a very calm person and we never knew she was capable of such act; we never knew she could take her own life in such a manner,” the source said. The parents of the girl could not be reached for comments as neighbours said they (parents) were too distraught to speak on the incident. When contacted, the state Police Public Relations Officer, Mr. Nnamdi Omoni, told Punch in a telephone chat that although the matter had not been reported to the police, he was aware of it. Omoni said, “I heard that the parents chased the girl out of the house on noticing that she was pregnant. But the girl went to commit suicide.